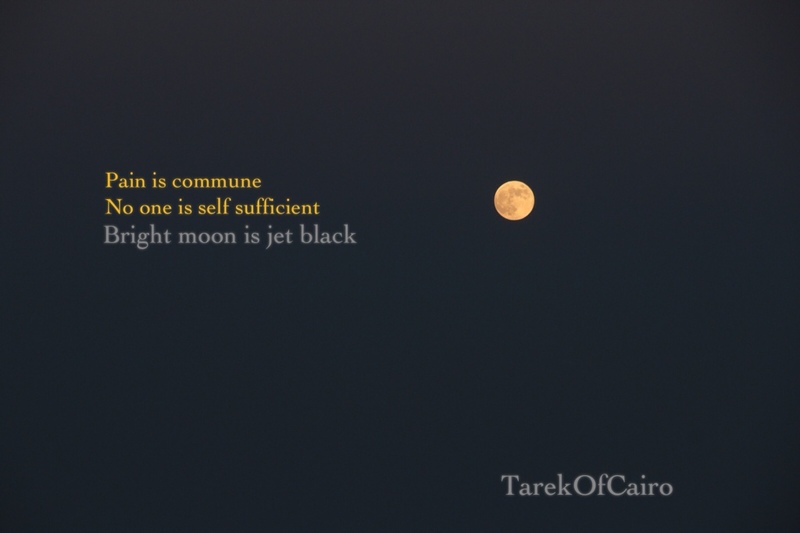 Posted on October 30, 2012, in haiku, Photography, Poems and tagged black, haiku, moon, Moonful, night, pain, Photography, TarekOfCairo. Bookmark the permalink. 2 Comments. We thought we were in Egypt, until the earth moved in a major earthquake in 1992 .. I remember how we were shocked with awe .. No one is immune ..